If anything hinders our ability to do what God has called us to do, we don’t have the option to let it slide. People use a lot of excuses for not putting their best foot forward in pastoral ministry. Depending on your call to ministry, some of those may not be issues to overcome as much as they are quirks we all live with. If you're a writer instead of a pastor, you might not need to be a people person. And texting may never be an essential tool. But most are universal. Honesty is no excuse for rudeness, for example. And if you were raised being taught bad manners or principles, abandon them and learn better principles to live by and pass on to others. Even in the areas that aren't universal, we all need to assess and adjust our shortcomings. Especially as Christian leaders. For example, being an introvert (like me) is not a ‘get out of being a team-player’ card. And if you’re too blunt, it’s not less-than-honest to learn some subtlety. As a leader, there's only one appropriate response to your shortcomings. And if you don’t know how to get better, find out! Living with mediocrity or incompetence in ministry because "it's just the way I am" is not an excuse. Actually, it is an excuse. A really bad one. If anything hinders our ability to do what God has called us to do, we don't have the option to let it slide. We need to let go of our excuses for not doing ministry better, and regularly learn new skills. We need to let go of excuses for not doing ministry better, and regularly learn new skills. Including old-school essentials that may be new to us because we somehow missed them along the way. As Christian leaders, we have an awesome responsibility. To God and the congregation he's called us to serve. 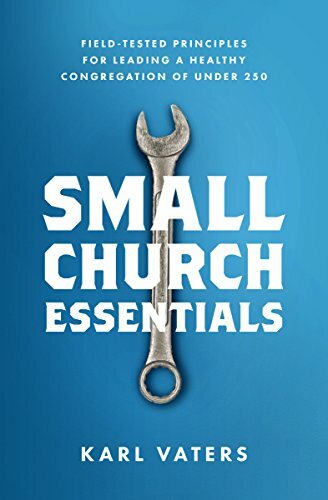 Mastering the required tools is a bare minimum for fulfilling our ministerial calling. Both the long-standing principles and the new innovations. When we stand before Christ, he's not going to tell us "I said I'd judge you for every idle word, but I notice you were raised in a household that yelled a lot, so you get a pass on being rude." Copyright © 2017 by the author or Christianity Today.